Half of the children without sight in Russia and Eastern Europe are blind because of Retinopathy of Prematurity – a treatable condition. 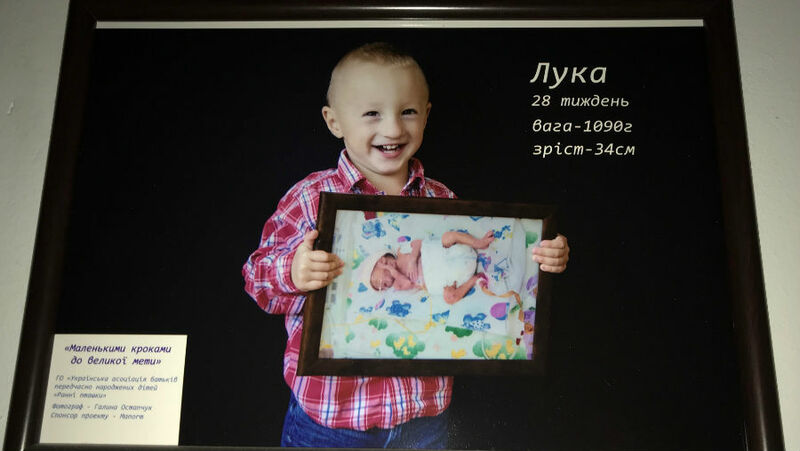 At Eye Samaritans International, we advocate for ROP treatment in nine Eastern European countries by educating ophthalmologists, neonatologists and nurses on how they can change the staggering statistics of blindness in children (1.5 million blind due to ROP). Eye Samaritans International (ESI) is focusing on tackling ROP blindness in Ukraine and Armenia. We have secured a matching grant from Lavelle Fund to provide NICU equipment and training to neonatal units in these two countries. Externships for neonatologists and NICU nurses will begin in March 2019 with one neonatologist and two NICU nurses spending two weeks at elite NICUs in London and Manchester. The Ukraine contingent will follow in September 2019. We had a very successful trip to Ukraine in May 2018, which focused on training, teaching and planning. This included a fruitful meeting with the Ukrainian Minister of Health, and an opportunity to present to 200 neonatologists at the National Neonatology conference. We also held several teaching rounds with pediatric ophthalmologists and neonatologists in Kyiv, Ternopil and Lviv. 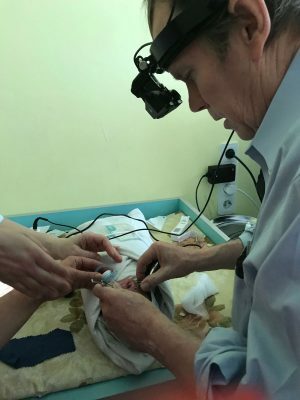 We donated retinoscopes to properly prescribe glasses in children and imparted skill-training: more will follow as refractive error (need for glasses) is still the leading cause of vision loss on our planet. A neonatologist and NICU nurse from England were also able to speak at the National Pediatric Conference in Lviv, courtesy of ESI. NICU nurses from Lviv and nearby Ternopil and Ivano-Frankivsk were given stipends to attend and receive training from Julie Flanagan from Manchester. We also organized a NICU training visit to nearby Ivano-Frankivsk during this trip. This resulted in valuable contacts and helped us assess needs for the future. Our work in Armenia goes back to 2015, when in cooperation with the Howard Karagheusian Foundation, ESI developed guidelines for the Organization of Pediatric Ophthalmology for clinics throughout Armenia. I also made my first trip to establish contact during this time, followed by a second trip a year later. We also recently donated an air compressor to the largest NICU in Yerevan, Armenia, so that preterm infants can receive blended oxygen rather than 100% oxygen, which can lead to retinopathy of prematurity as well as chronic pulmonary disease. We aim to purchase and donate more Air oxygen blenders in the near future. Working alongside IAPB, we have supported ROP programmes in Russia and Romania. We began contacting Romanian pediatric ophthalmologists in 2014 when ESI sponsored a conclave in Budapest. IAPB then secured a large grant (funded by Medicor) to strengthen Romania’s national ROP programme. Previously, ESI donated an indirect laser for treatment of ROP in Bucharest. That machine has proven extremely critical to laser treatments and is helping to reduce ROP blindness. For me this work to treat ROP began in 2010, when I formed Shreveport Sees Russia in an effort to raise funds for ROP treatment in Russia. But when I saw that the problem went way beyond Russia, it led to the formation of Eye Samaritans International in 2012. Our hope is to prevent infants around the world, from going blind due to ROP.